This compilation shows all of Paul Chain‘s sides. From experimental industrial/ambient to grooving hard/psychedelic rock. From NWoBHM to heavy traditional doom. Anyone who’s new to this guy should have a listen to this CD. SKU: M2013-10. Categories: CD, Tapes, VINYL-Distribution. Tags: Doom Metal, Paul Chain. 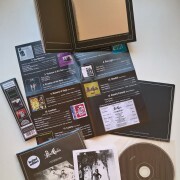 VERSION:CD, Limited Edition of 500, Papersleeve Mini LP gatefold japanese style packaging with custom OBI. 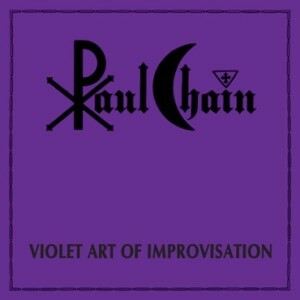 1997 is the year of compilations for Paul Chain, as the only things released by him this year were two compilations of his earlier material. The purpose of this one seems to be to give more people access to rare tracks from 7″s, splits and various-artist compilations. I have listed which tracks come from which release in parantheses behind each track name for the convenience of the reader. The last track is an exception. It doesn’t appear anywhere else but on this compilation and despite it’s title, the lyrics don’t fit those from Black Sabbath‘s track with the same name. I should also mention that some of the 7″ have been reviewed earlier on this page, for those who want to dive deeper into them. This compilation shows all of Paul Chain‘s sides. From experimental industrial/ambient to grooving hard/psychedelic rock. From NWoBHM to heavy traditional doom. Anyone who’s new to this guy should have a listen to this CD. If you don’t like anything this CD offers, then it’s unlikely that you’ll like any of his older works. The title ‘Mirror’ originally comes from the 7″ with the same name. 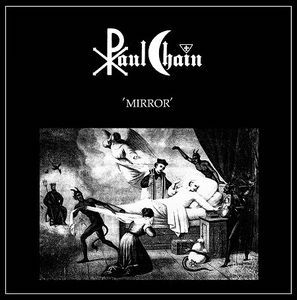 Paul Chain released it in 1989 with basically the same artwork. So in a way this is a re-release of that 7″ with heaps of bonus tracks. 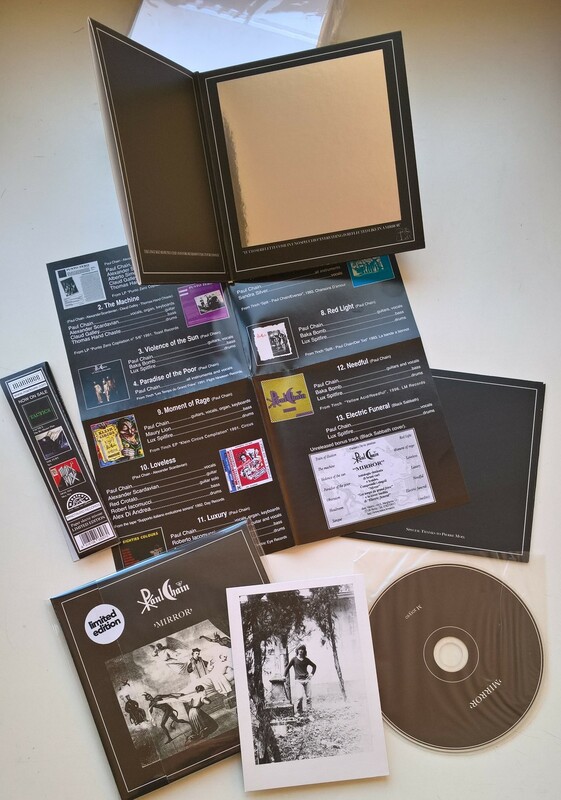 The 7″ ‘Les Temps Du Grand Frère’ is also present here in it’s entirety. 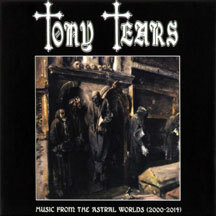 Hence this compilation leaves both of those releases as collector items more than anything of pure musical interest. Still, I think it’s great when artists do these things so that everyone gets access to their rare stuff.